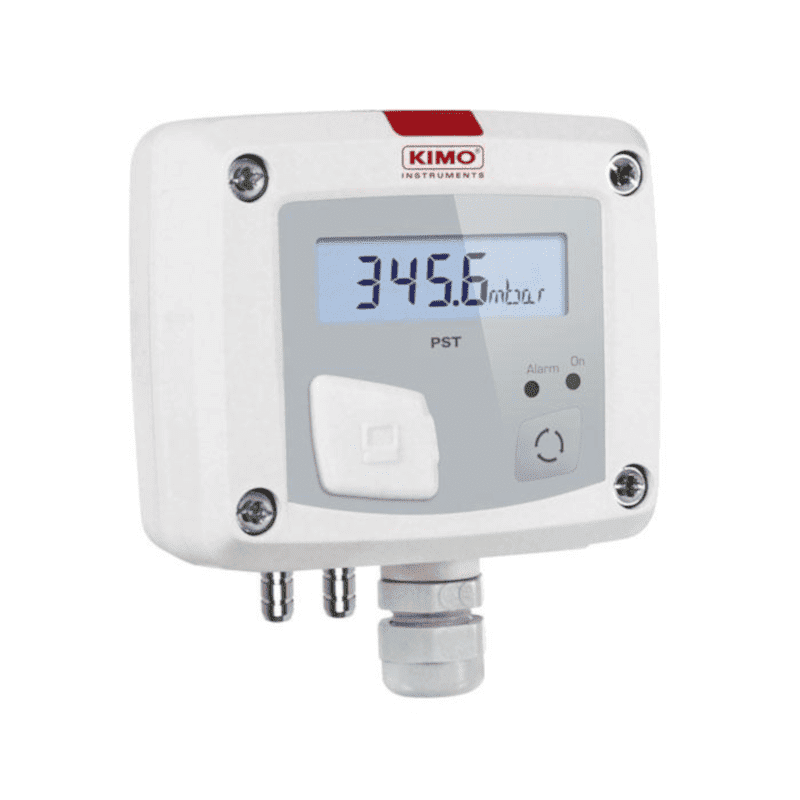 The Kimo PST series is a differential pressure switch with indicator. The PST is ideal for filter monitoring applications. The status LED indicates if an alarm level is exceeded and the current pressure is shown on the display. The installation is very easy because the housing can be mounted in two parts making it ideal for installers.